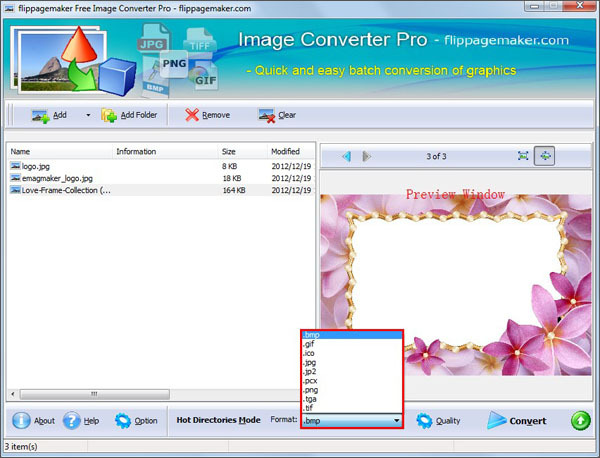 FlipPageMaker Free Image Converter is free based tool that allows you to convert JPG images to other formats including BMP, GIF, ICO, JP2, PCX, PNG, TGA and TIF. It is designed to transfer images as easy as possible. It is also capable of batch converting the file format of image, supporting Command Line (CML) and Hot Directories (watching folder) converting modes. In addition, it is capable of resizing and rotating images. The small application has a clear interface and there is no redundant icon. 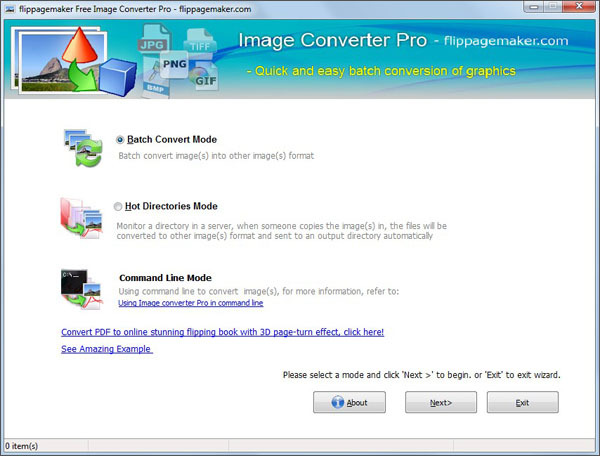 FlipPageMaker Free Image Converter is simple to use. If you need to convert one or thousands of images into varying types, this is the tool. 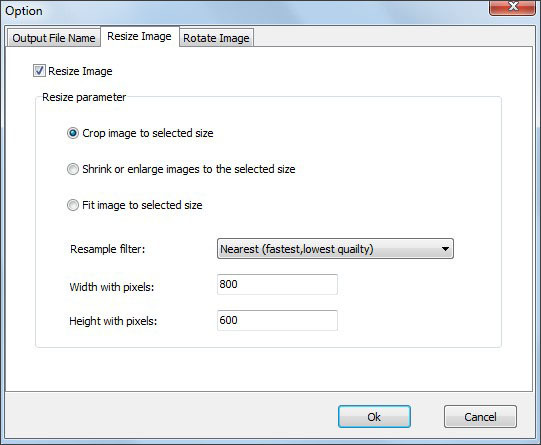 The most popular task our customers perform is to convert JPG to PNG, TIFF and Bitmap files. It can be especially useful if you require complicated conversion jobs to be done on a regular basis. The great free image converter can run from the command line allowing for use in batch files or can be automated from within other programs programmatically. In addition, Hot Directories or Watch Folder converting mode achieves perfectly. Command Line Mode: use command line to start up and run the software. What setting options can you do for the output images? Rotate Image in specific degrees. Why we say Free Image Converter is user-friendly? One it that a button is designed to enable transition between Batch Convert Mode and Hot Directories Mode conveniently. You do not need to exit and re-launch the converter to transfer Batch Convert Mode to Hot Directories Mode, or to transfer Hot Directories Mode to Batch Convert Mode. Another one is that there is a preview window in the right side of this converter. Such, you can find out image you need by not only referring to its information but also previewing it.